Bizzare right? yes the world is actually a weird place, so are the people in it. 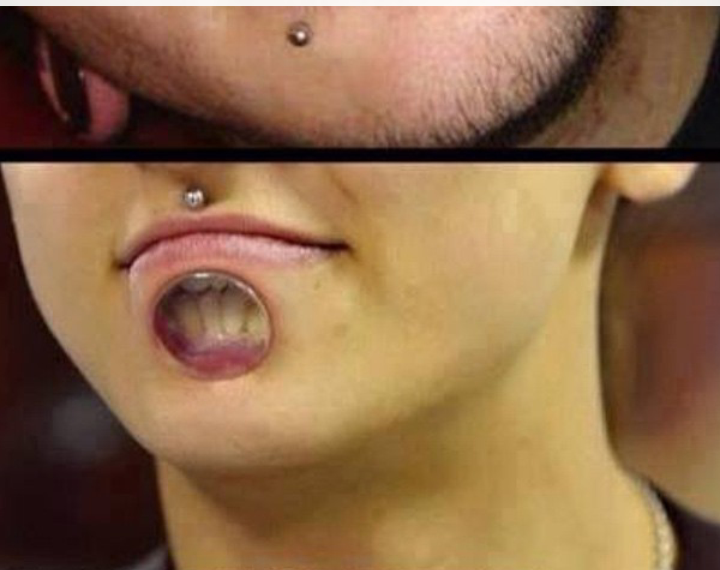 This is a lip type of piercing that exposes your teeth even with your lips closed. I really dont know how that is been done, but I sure know its gonna be painful. so, does anyone fancy this for a try??? And what’s this jeniesgiovanni.com? ? ?